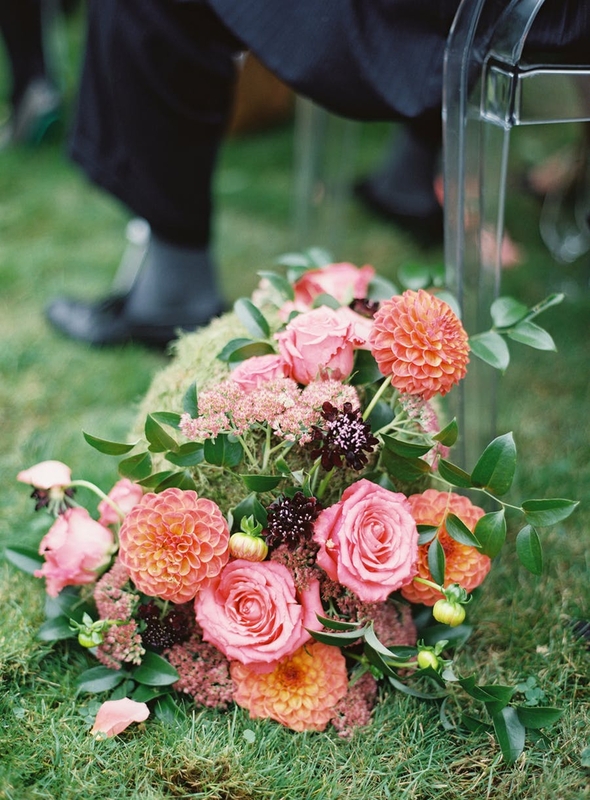 Justin & Margot wanted a beautiful NW garden wedding. 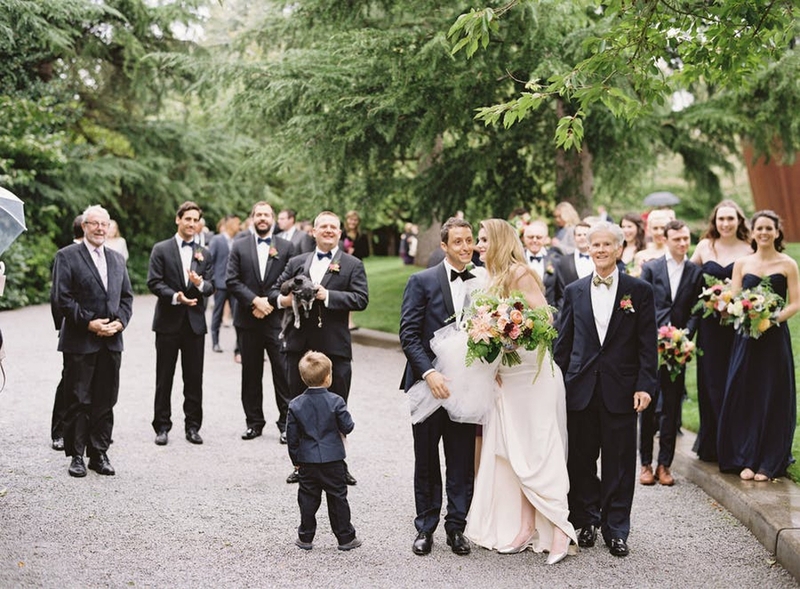 After looking at many venues they decided on the groom's parents home on Lake Washington. 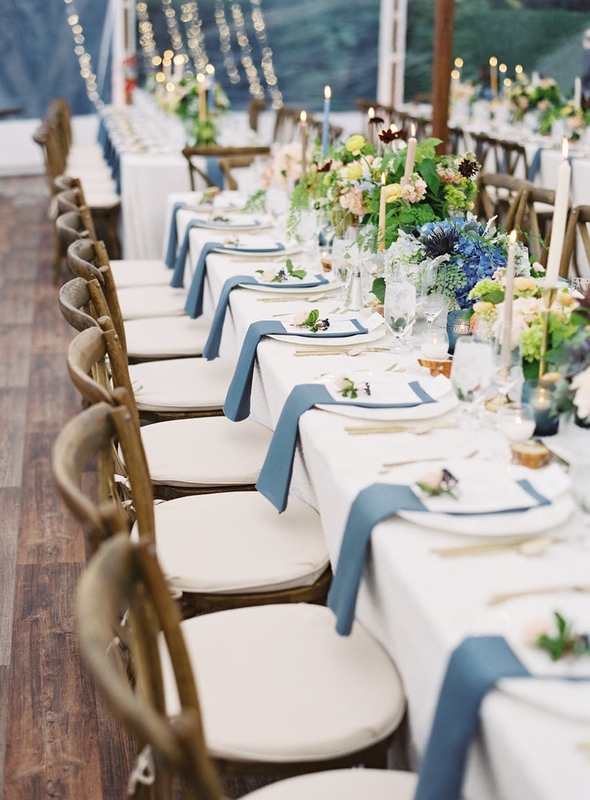 Margot wanted a fresh look with gorgeous floral and french blue accents on long tables. 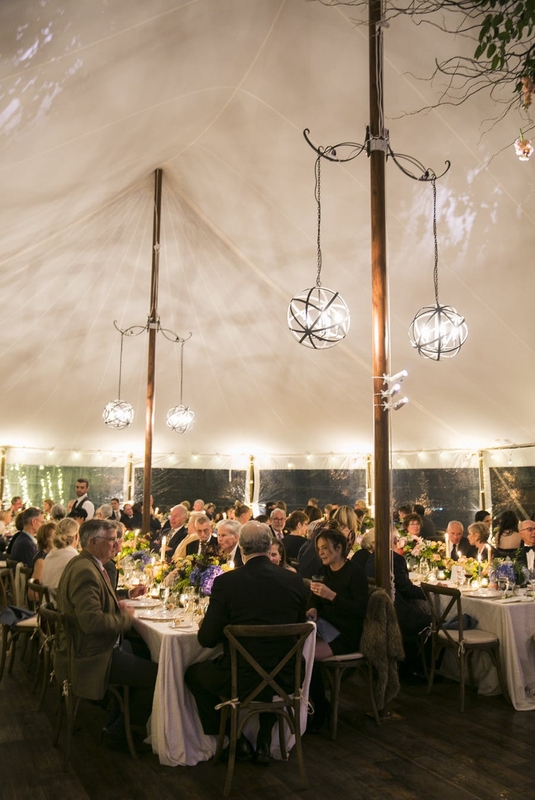 We used a special tent new to Seattle (Tidewater Tent) that was beautiful and due to the ceiling height, we were able to suspend a floral chandelier over the dance floor. They had a wonderful seated dinner, toasted with a very special bottle of champagne and had an assortment of pies for dessert. The full band had the guests dancing into the night. A great time was had by all! 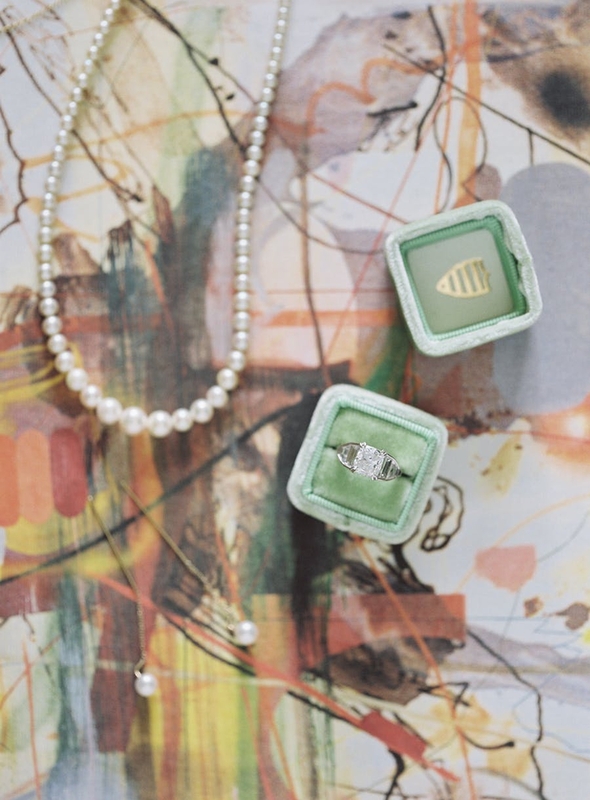 Margot and Justin's October 8th wedding took place at the groom's parent's modern art filled home right on the shore of Lake Washington. The ceremony was in the front of the estate and the reception was under a beautiful Sperry Tent overlooking the lake. 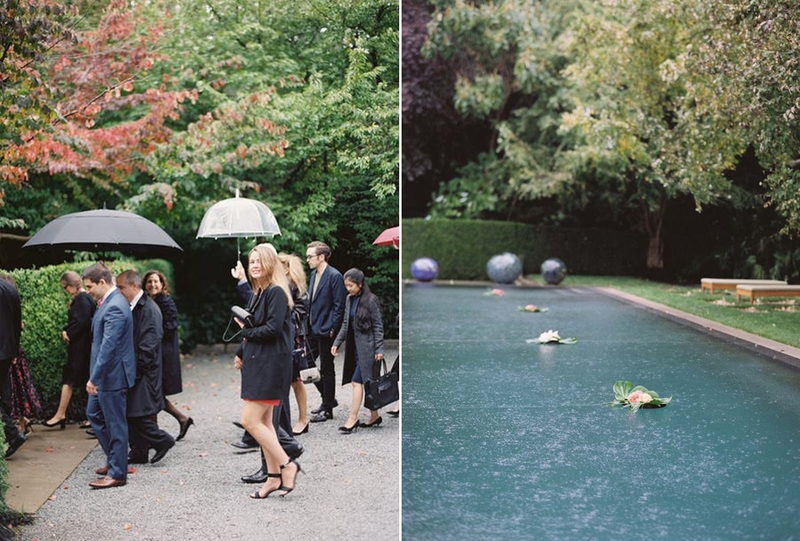 True to form, Seattle gave us a pretty wet and rainy day which only added to the romance and ambiance of the wedding. 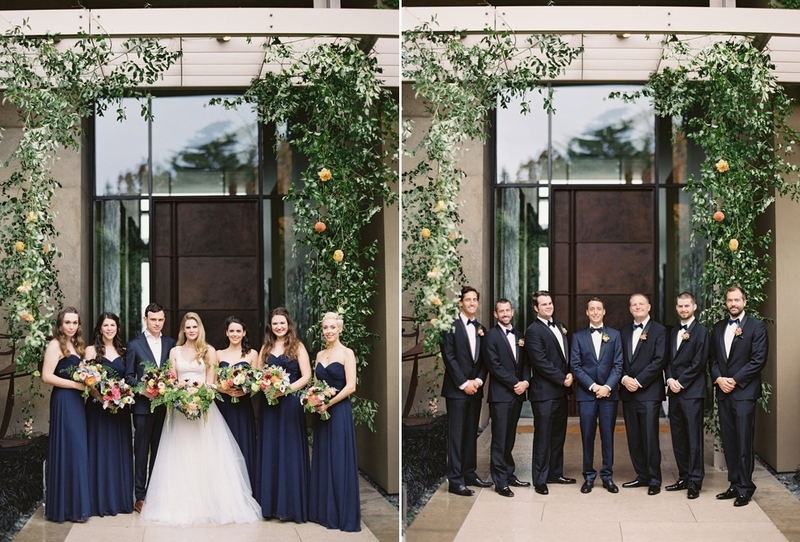 The Brotman’s art collection was a stunning feature during the cocktail hour and when combined with the lush greenery and bright florals it made the entire wedding a feast for the eyes. 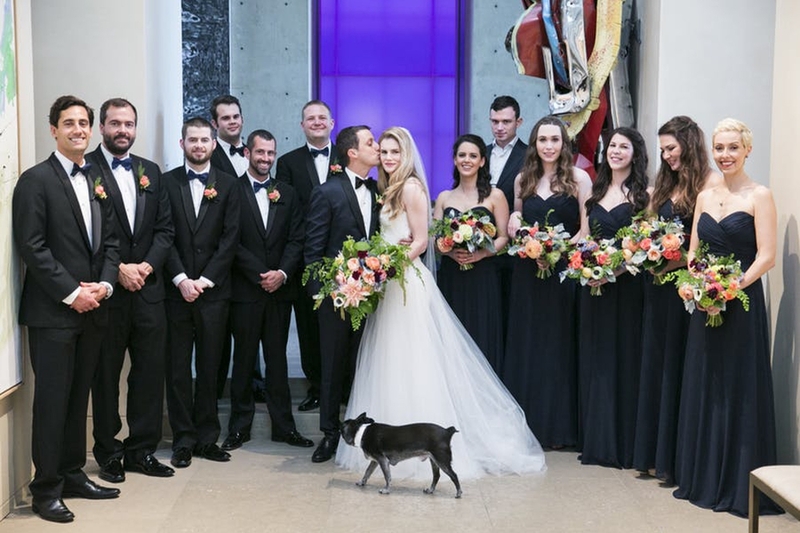 We loved Margot and Justin’s wedding! Everything from the sweet bride and groom, the location of their ceremony and dinner reception, the color palette, all the many details, the bride’s flawless style … Swoon-worthy all around! Margot’s bouquet of peach David Austin roses, Cafe au Lait dahlias, ranunculus, chocolate cosmos, lovely blue forget-me-not, mini green hydrangea, and ferns set the tone for this elegant affair at a private residence in Medina. Her lovely bouquet was a perfect translation of their French Country and Modern Northwest Garden inspired theme. 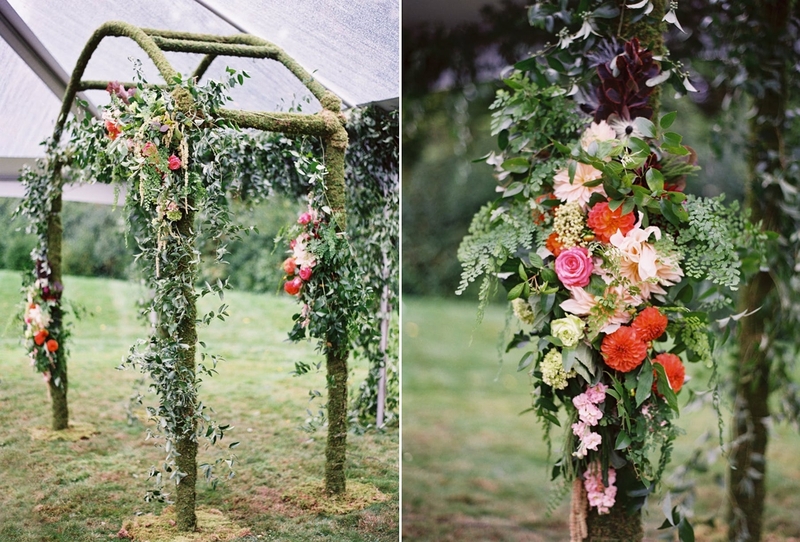 For the backyard ceremony under a clear tent we custom-built a moss covered arbor adorned with colorful garden blooms and Northwest ferns. We lined the aisle with large moss orbs featuring small, a-symmetrical floral clusters. But our favorite part of the day was the reception: all the amazing details made for a memorable evening. Even an early fall freak storm couldn’t stop guests from dancing the night away. Long tables were lined with taper candles and elegant flowers in white ceramic vessels, a large floral chandelier adorned the area above the dance floor, pool floats and hurricanes lined the surrounding ponds, a nearby willow tree was dripping in light chains … It sure was a favorite of our 2016 weddings. When your groom's parents have the most beautiful modern art-filled home set on Lake Washington, selecting it as your wedding venue is really a no brainer. Margot and Justin played off the setting for a colorful affair filled with French blue accents thanks to the work of NW Event Success and Flora Nova Design. Go ahead and get comfy because this gallery by Katie Parra is one you certainly won't want to leave.